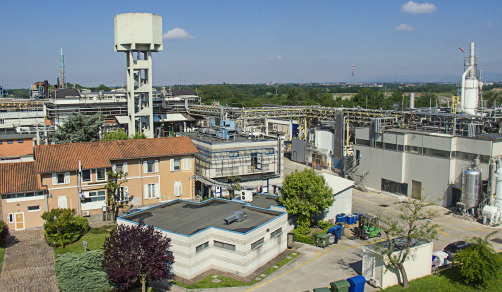 Corden Pharma Bergamo pays great attention to environmental and industrial safety, including employing advanced techniques in order to comply with national legislation and environmental regulation (D. Lgs. N° 152 April 3th 2006 e s.m.i. ), and it has achieved OH SAS 18001 certification (Occupational Health and Safety Assessment Series) since 2013. Corden Pharma Bergamo staff participate in health monitoring and training programs which are organized as required by current legislation (Italian law D. Lgs n°81 April 9th 2008 e s.m.i. ; D. Lgs. n°105 June 26th 2015). Training courses for the technicians operating in the plants are regularly organized. CordenPharma Bergamo is a cGMP manufacturer of advanced pharmaceutical intermediates and APIs specializing in the design of synthetic routes and development processes for new products from laboratory to commercial scale, with equipment and chemical technologies that are particularly suitable for multi-step synthesis. CordenPharma Bergamo brings over 50 years of experience and expertise in pharmaceutical chemistry, technology, project management and registration processes to CordenPharma’s full-service CDMO platform. >> 2016 Name changed to Corden Pharma Bergamo S.p.A.